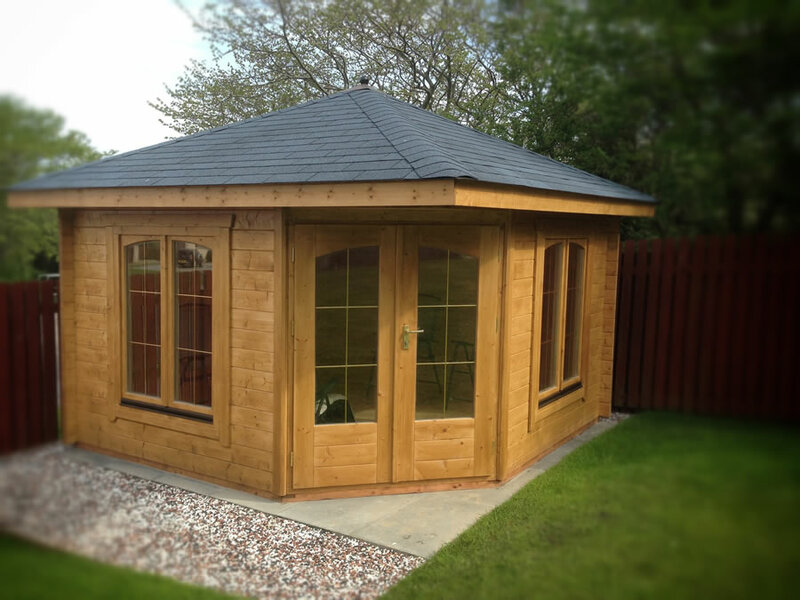 Scotland's longest established and most experienced log cabin & summerhouse supplier. 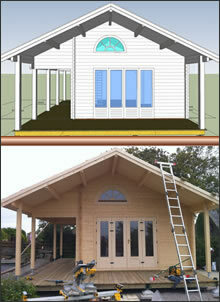 Log cabins, summerhouses and garages for your garden, all custom made exactly to your requirements. 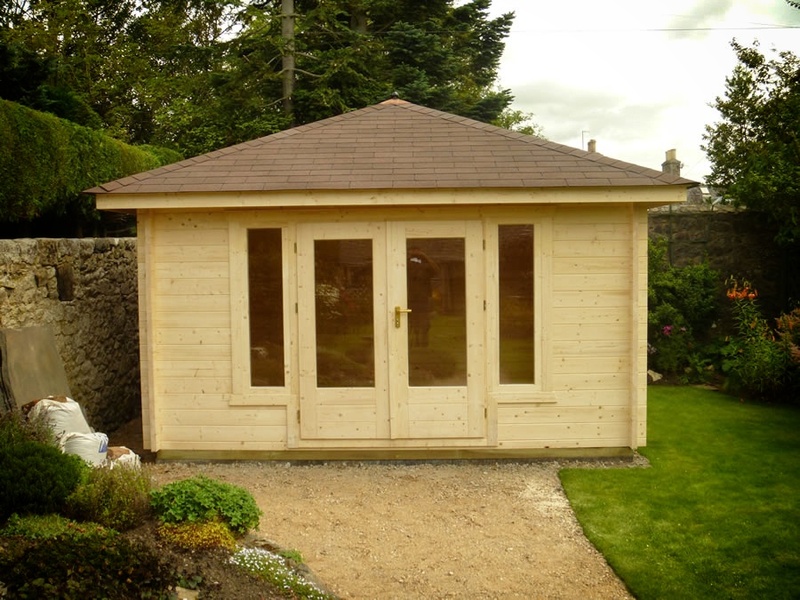 Forest Log Cabins are Scotland's longest established and most experienced log cabin and summerhouse suppliers. 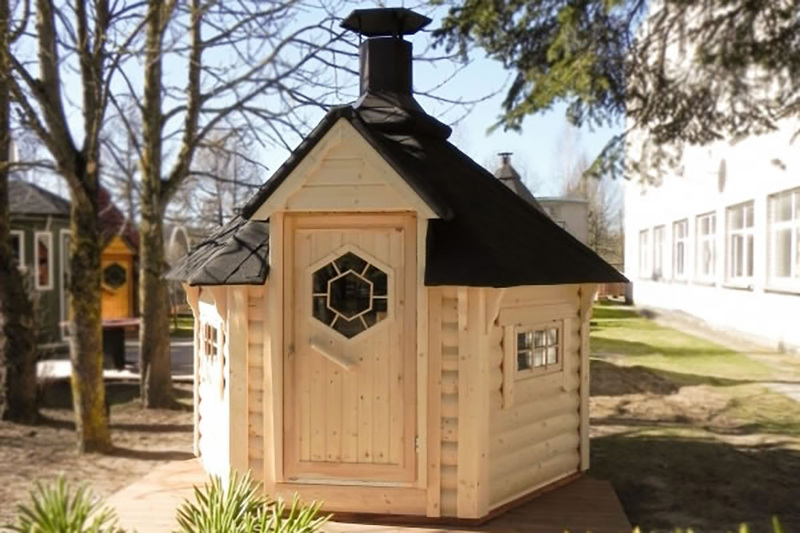 Selling anything from a small summerhouse right up to a large, multi-room log cabin or garage. We are a family-run log cabin business based in Echt, just outside Aberdeen in the North East of Scotland and have been trading since 1989. Unlike some of our low value competitors we supply literally hundreds of cabins each year and also, unlike some of our competitors, our website contains real pictures of real cabins in real peoples gardens, not computer generated renders of cabins that don't actually exist until you order them. If you want to see some of our recent work then the best place to look is on our Facebook page. 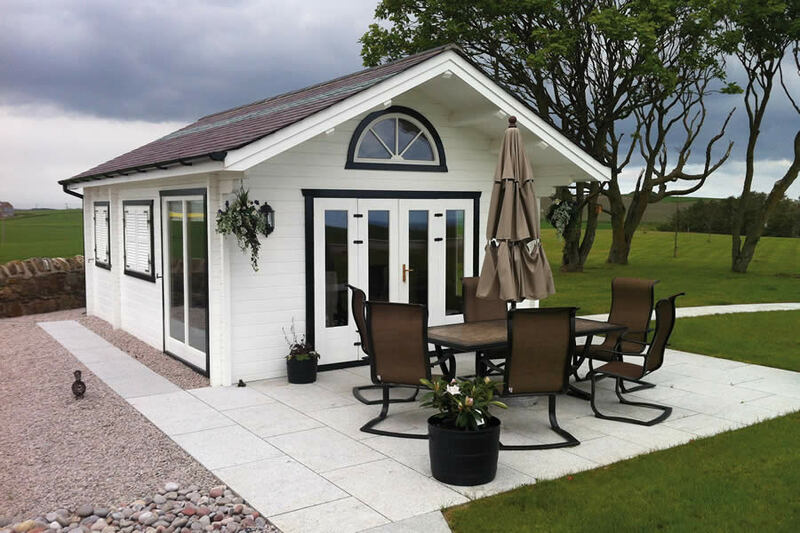 We keep a large range of log cabins, summerhouses and wooden garages permanently on display at our base in Aberdeenshire, so you can come and see the superb quality of our cabins for yourself. 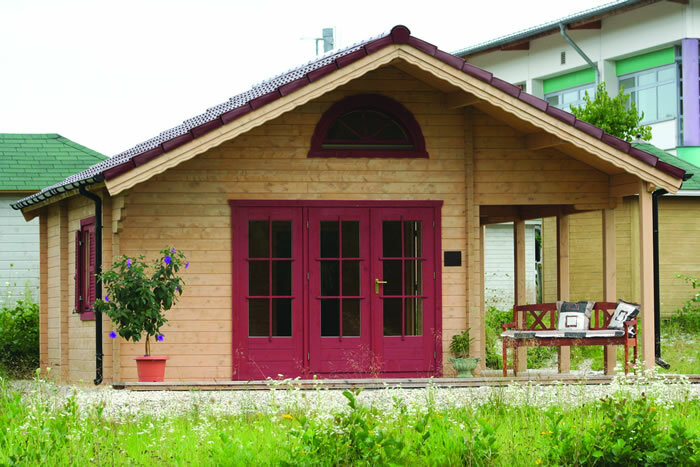 We specialise in the best quality, custom designed & built log cabins by Bertsch Holzbau along with a wide range of other manufacturers. 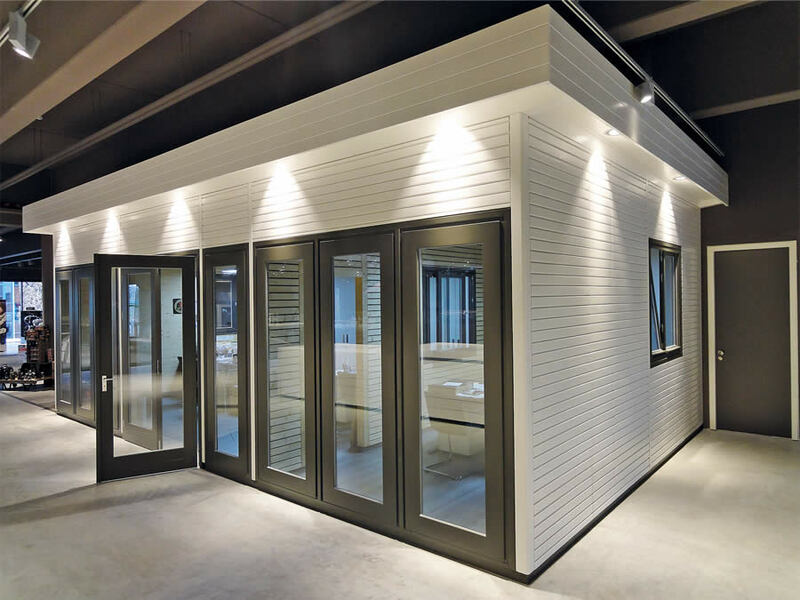 If you're fed up not finding quite what you are looking for then we have the answer and can help you create your own perfect hideaway, home office or garage workspace. As part of our complete solution we offer a free planning service, where we will visualise your log cabin in 3d on computer. 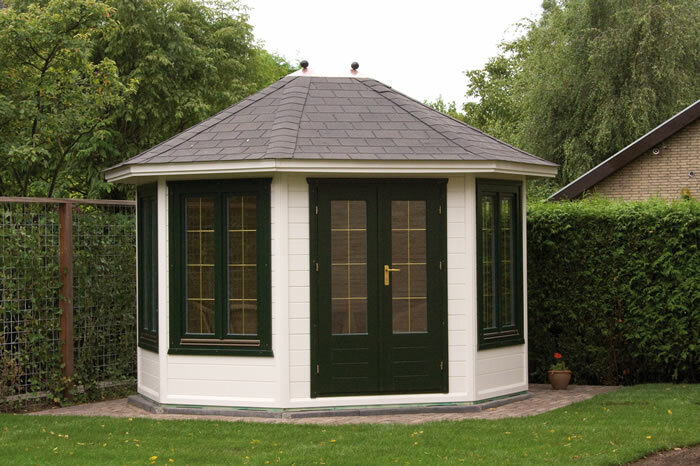 Full drawings of your cabin or summerhouse can then be supplied so you will know exactly what you are getting before you order.